Winters in New England are long, cold, dark, and, at times, downright miserable. 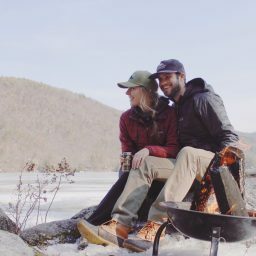 We locals look forward to the snow and ice thawing out, so we can get back on our bikes and kayaks and, more importantly, return to the region’s plethora of hiking trails. But for those willing to bundle up and brave the cold, the winter creates opportunities for hikes far more stunning than anything we could hope for throughout the rest of the year. One such hike is New Hampshire’s tallest waterfall, Arethusa Falls. The trailhead is located just off U.S. Route 302 in Crawford Notch State Park, approximately 10 miles south of the Omni Mt. Washington Resort and 15 miles north of Hart’s Location. The parking lot is easy to spot from the road, and as the trail won’t be nearly as heavily trafficked this time of year, there are a good number of spaces. 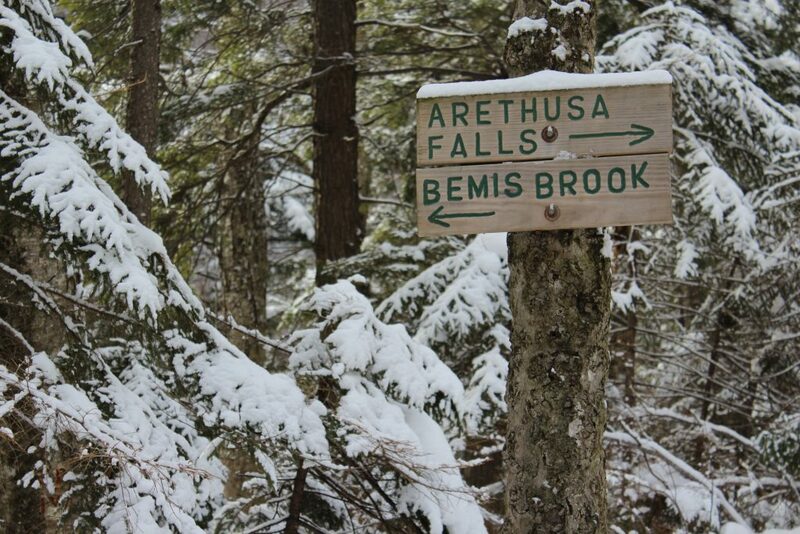 There are two routes from the trailhead to the falls: the Arethusa Falls Trail (a 1.5-mile, one-way hike) and the Bemis Brook Trail (1.7 miles, one-way). The elevation gain on the shorter route is moderate, about 800 feet total, and the round-trip hike can reasonably be completed in a few hours or less. The trailhead is located just across the railroad tracks from the parking lot, and after about 0.1 mile, you will reach the junction with the Bemis Brook Trail off to the left. Although the hike is pretty much a straight shot to the falls, the winter scenery is beautiful. The railroad tracks, which are no longer in use, create many excellent photo opportunities as they disappear into the snow-covered woods. A footbridge across a small stream creates another picturesque scene, particularly when the water underneath is partially frozen and the snow-covered tree branches above hang low. The trail, when shaded by a canopy of snow-covered pines, is a sight in itself, but when the falls first come into view, its spectacle is difficult to rival. Assuming the temperature has been cold enough (after all, this is New Hampshire we’re talking about), the 176-foot plunge will have been transformed into a monolithic wall of ice clinging to the side of the mountain. Until you’ve seen it in person, it’s difficult to fully prepare for how imposing the frozen falls seem when they first emerge from the trees. The trail leads directly to the base of the falls, and there is even the option to hike up the side to get a view from the top. This isn’t part of the marked trail, but it’s pretty obvious how to get up there. 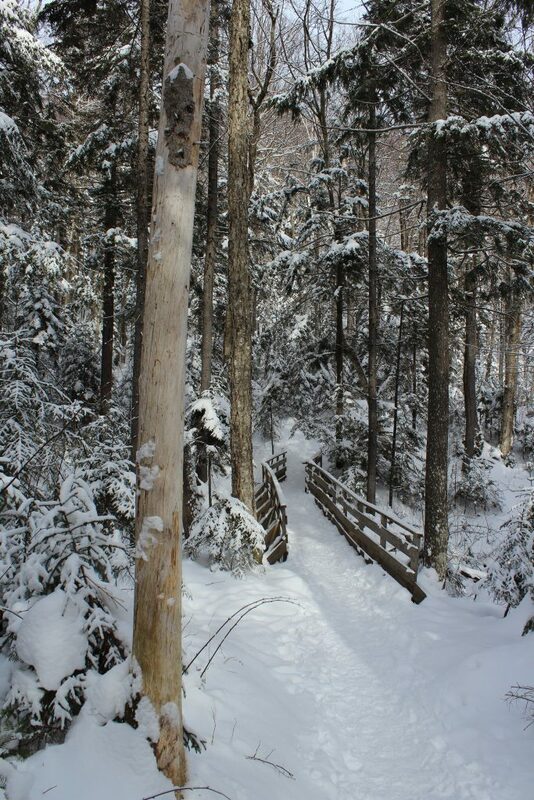 The cold weather deters many that frequent this trail during the warmer months, so there won’t likely be crowds here. 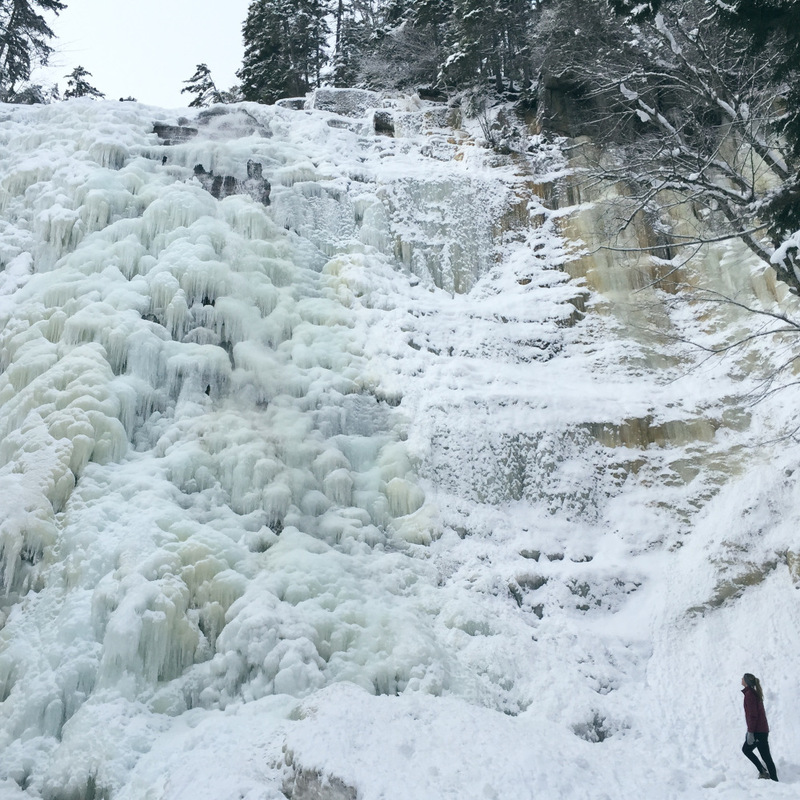 However, if the weather is cold enough, there’s a good chance you will be sharing the trail with some of the more daring ice climbers, who come here to scale the frozen falls. For those who aren’t afraid of some cold temperatures and a little snow, the icy hike to Arethusa is one of the best ways to spend a few hours in the White Mountains—even better than hitting the slopes.